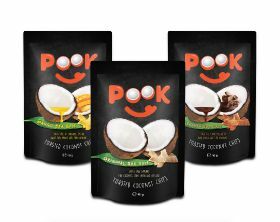 Pook Coconut Chips, from German group PookSpaFoods, are crunchy natural crisps made from fresh Thai coconut with an unmistakable taste. The three flavours, Original Sea Salt, Mango Sea Salt and Chocolate Sea Salt are available in bags with a filled weight of 40g. 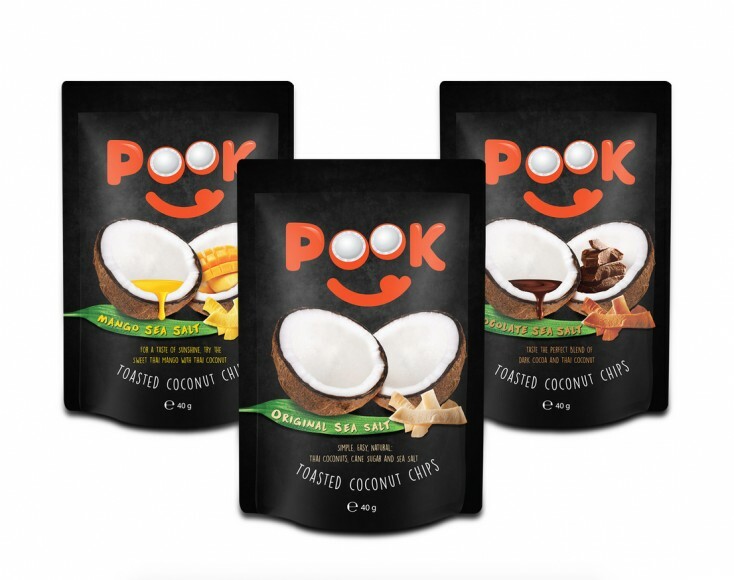 The coconut chips are vegan, gluten-free and free from preservatives. They are suitable as a snack for in-between meals or as topping for salads, muesli, yoghurt or ice cream.